• handmade by me: Akesha Scott, here at my home studio in Baltimore, MD. 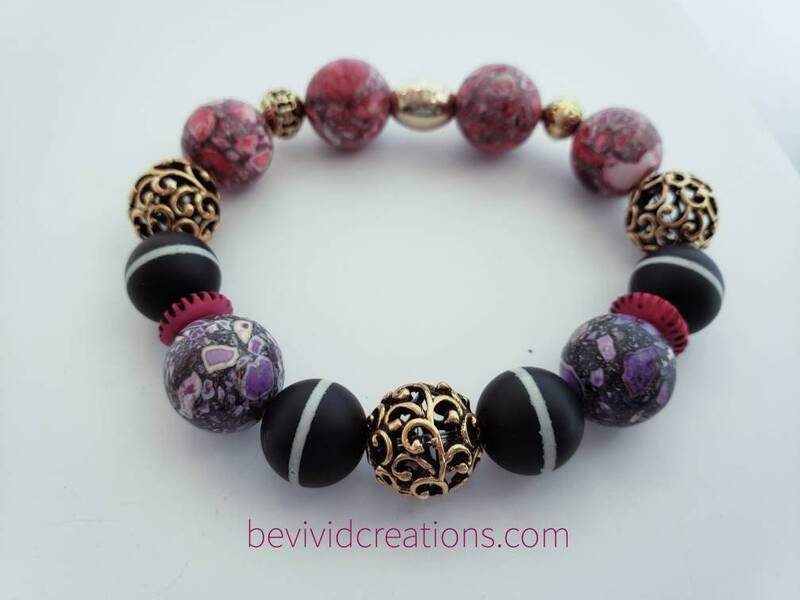 • every bead is handpicked and strung on strong elastic cord to ensure beautiful, lasting quality! • bracelets are made to fit 6.5 inch but if you're requesting a specific size customization are available upon request, it is crucial you measure your wrist before purchasing. If you don't have a fabric measuring tape, a strip of paper or a string and a ruler will work just as well. there are several 'actual size' rulers available online if you don't have one at home. • measure just under the wrist bone and choose the size closest to your 'exact' measurement. I will add up for a comfortable fit, so please choose your 'exact' wrist size to ensure you get the best fit possible.